“I entered the campus at Central Avenue and Stanford where John Tatschl’s bronze of the university’s Lobo mascot stood in eternal vigilance in front of Johnson Center. 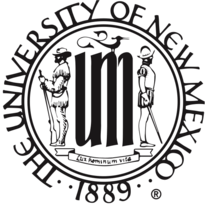 As a lifelong history buff, I knew UNM had opened in 1892 with a total of 25 students in a Victorian-style building isolated on the desert east of Albuquerque. 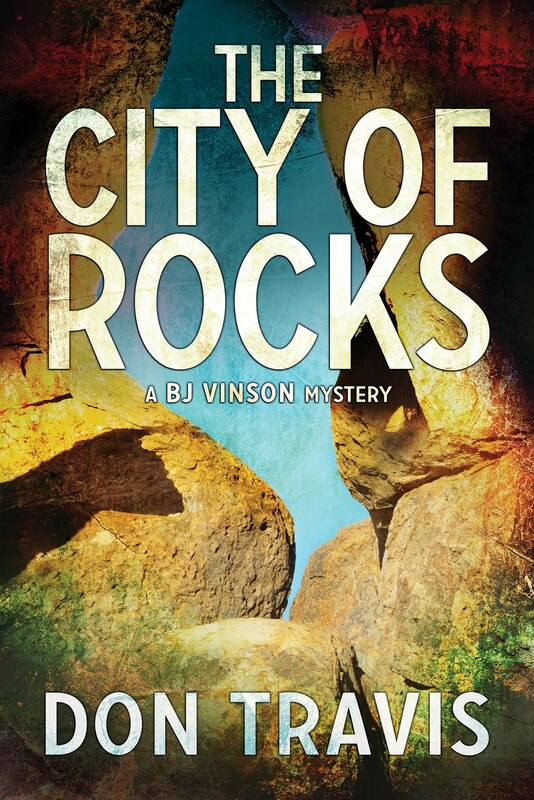 Now it occupied approximately eight hundred acres totally engulfed by the city’s inexorable march to the heights. One of the more interesting buildings on campus is the Estufa, a historic structure built between 1906 and 1908 as a meeting room for a social fraternity. It is possibly the first building (or one of the first buildings) in the country to employ the Pueblo Style. 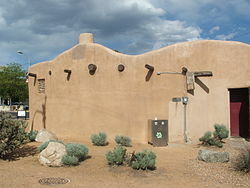 The Estufa was loosely modeled after a kiva at Santa Domingo Pueblo (now known as Kewa Pueblo). It is roughly circular, with adobe walls 14 inches thick. The interior of the Estufa has been described as a pit with seating around the edge. 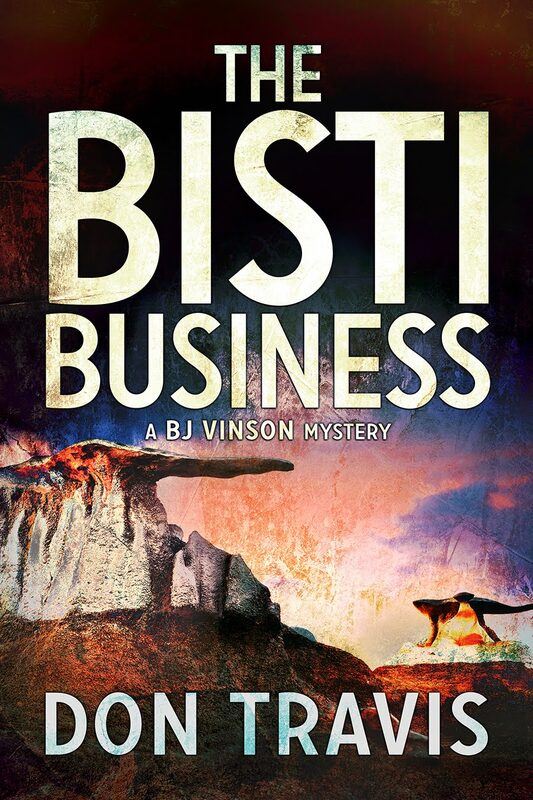 The building is veiled in secrecy. Non-members are not allowed inside, and according to legend no woman has ever seen its interior (although I can’t believe at least one enterprising coed hasn’t cajoled some swain into giving her a peek). The Estufa was added to the National Register of Historic Places in 1988. BJ gave us a decent description of the physical plant, but he gave us nothing of the feel of the place. Of the energy and enthusiasm. Of the lethargy and despair. Of the human face of a living, breathing organism that is a modern American university of higher learning. UNM came into existence with the passage of House Bill 186 by the Territory of New Mexico legislative assembly on February 28, 1889. 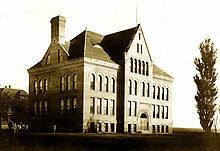 It later opened its doors in what BJ called a Victorian style building named Hodgin Hall. From that modest beginning, the school has grown into a premier, multi-campus, Southwestern University system with over 22,000 students (hey, guys, 56 out of 100 are women) offering 215 degrees and certificates, including 94 baccalaureates, 71 masters, and 37 doctoral degrees through a system of twelve colleges and schools. It has over 400 student-run organizations, a radio station, a TV station, a publishing arm, (the UNM Press), and it boasts a Children’s Campus to give students’ children a healthy, pleasant experience while their parents attend class. It even has a LGBTQ (Lesbian, Gay, Transgender, and Questioning) Resource Center which claims to have a gender neutral restroom. Like any University worth its name, UNM has a full range of athletic teams and activities. Its basketball court, known as the Pit, is world famous. Less so, is the UNM Football stadium which sits across the street. In the 1890s, the school colors were said to be black and gold, but because some did not believe this combination adequately represented New Mexico, one professor suggested crimson to reflect the evening glow of the Sandia Mountains to the east and silver for the Rio Grande, a silvery (sometimes muddy) ribbon winding through be valley below. The crimson was later changed to cherry, the color of a Sandia sunset. In 1895, those colors were officially adopted. Somewhere along the line, turquoise joined the spectrum, but Cherry and silver returned as the predominant colors somewhere around 1980. While checking student comments on a UNM-connected web site, I noticed a few recurring themes: complaints about parking and the condition of the older dorms (90% of the students live off-campus), and the fact that Albuquerque is not a “college” town. That last one seemed to cut both ways. There is another institution right across the street which is not formally connected to UNM, but figures into the student body’s activities. The Frontier Restaurant is an institution unto itself, providing a quality, relatively inexpensive, eating experience for generations of students. 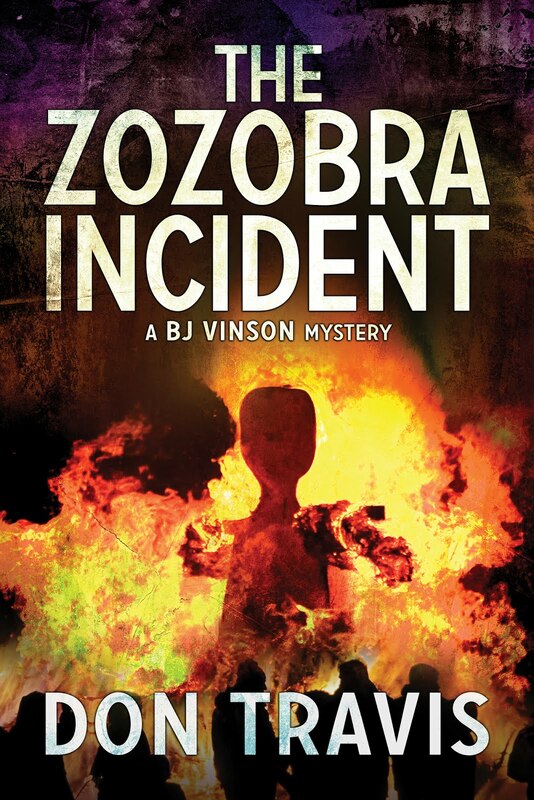 BJ visits the restaurant in Chapter 24 of The Zozobra Incident when the plot is building to a climax.